This video covers the Dashboard tab in CentrePoint. 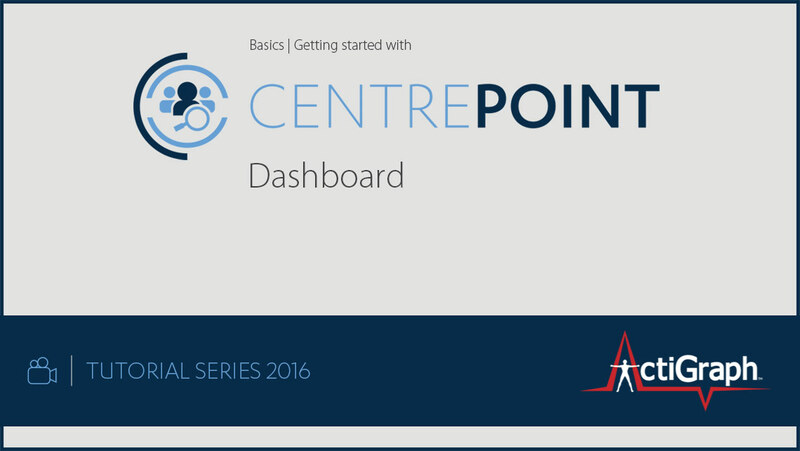 This CentrePoint training video includes step-by-step instructions for account setup, activity monitor assignment, deployment, uploading and viewing data, and troubleshooting. This video covers the Devices tab in CentrePoint. This video covers downloading devices in CentrePoint. This video covers initializing devices in CentrePoint. This video covers the Managing Site Users tab in CentrePoint. This video covers the Messaging tab in CentrePoint. This video covers the Milestones tab in CentrePoint. This video covers the Subject Details page in CentrePoint. This video covers the Subjects tab in CentrePoint. 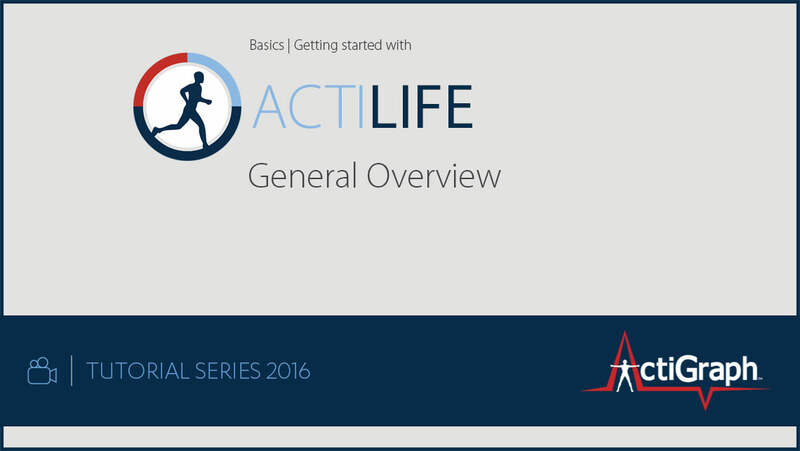 This video will cover a general overview of the ActiLife software. This video covers the Advanced Sleep features in ActiLife. This video covers the Data Scoring tab in ActiLife. This video covers the use of the Data Vault in ActiLife. This video covers the Filter Options of the Scoring tab in ActiLife. This video covers the Downloading of Data from an ActiGraph device in ActiLife. This video covers the Initialization of an ActiGraph GT9X Link device in ActiLife. This video covers the Sleep Analysis tab in ActiLife. This video covers the Initialization of an ActiGraph wGT3X-BT device in ActiLife. This video discusses the ActiLife Wear Time Validation (WTV) tool, which allows users to easily flag invalid data (or data collected when a device was not worn) for exclusion from further analysis. 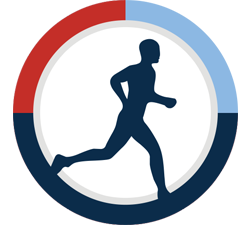 WTV also provides a summary of the wear-time and non-wear time results from the datasets.